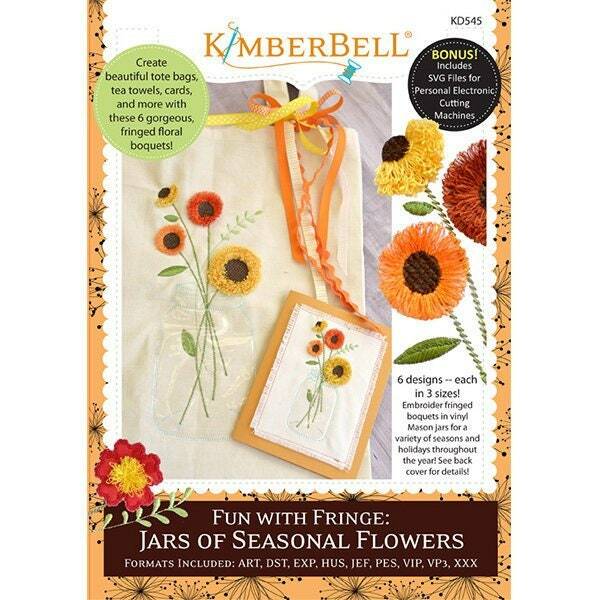 There’s something nostalgic about collecting wildflowers and bringing them home to arrange in a Mason jar — which is why this collection will have you feeling completely sentimental. As the seasons change, so do the blossoms and stitching patterns to create fanciful dimension with fringe embroidery. Vinyl appliqué for the jar add to the uniqueness of the design. 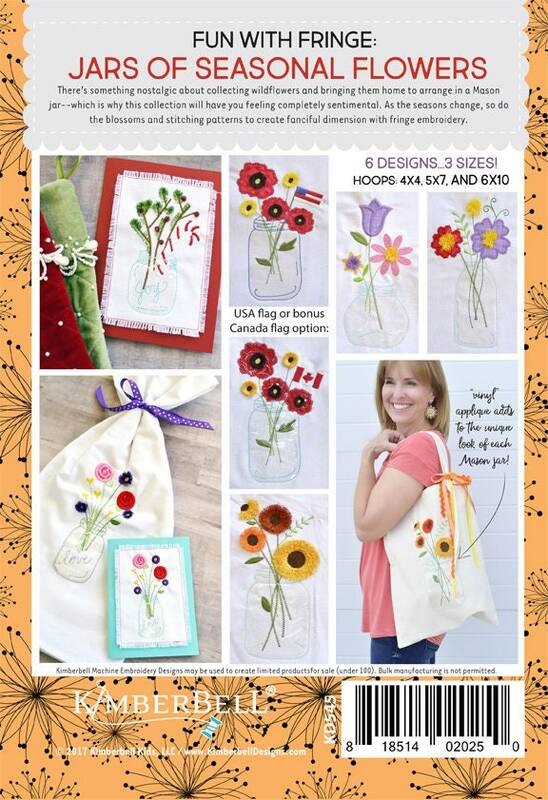 The instructions include options for hooping a tea towel, Kimberbell Canvas Tote, and even adding the design stitched on fabric to cardstock for a darling card. 6 designs — each in 3 sizes! (4×4, 5×7, and 6×10) Also includes SVG files for electronic cutting.